At Elon, campus facilities do more than house classrooms and students. They are designed to promote collaboration, spark bold ideas and seamlessly blend academics and co-curricular experiences. Through Elon LEADS, we are strategically expanding the campus in keeping with the university’s long-term plan for growth. We will also support the student organizations and groups that provide leadership opportunities and add meaning within the Elon student experience. 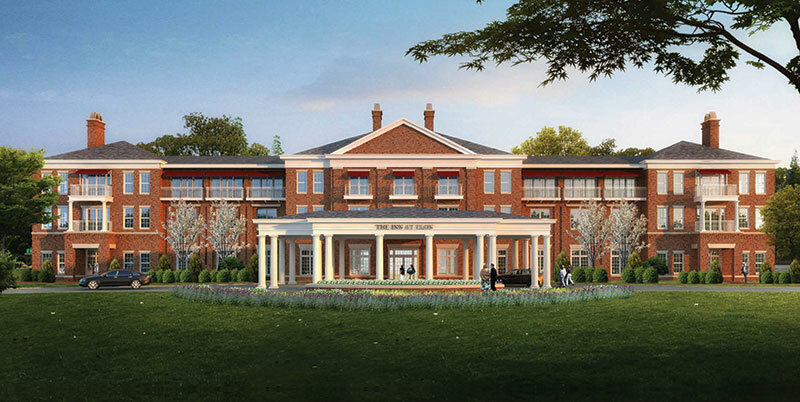 The three-story, 80-room Inn will meet the university’s long-standing need for on-campus lodging and conference facilities. The Inn is an endowment-owned asset of the university and operating profits will support need-based student scholarships. New facilities will provide expanded space for STEM, engineering and physics programs and an expansion of the sciences. 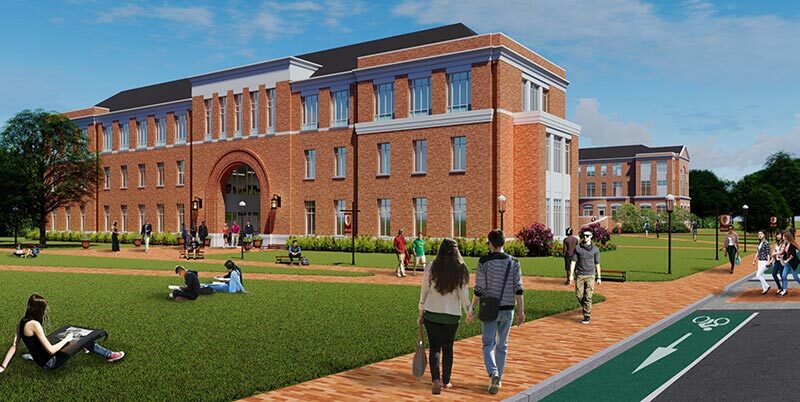 Along with Sankey Hall and McMichael Science Center, the facilities will form the nucleus of a new innovation quad with a focus on STEM education—a key driver of opportunity for our students now and in the future. The expansion nearly triples the space for the School of Communications, recognized as one of the nation’s top-20 schools for the study of communications. The expanded complex is anchored by Dwight C. Schar Hall, Steers Pavilion, Snow Family Grand Atrium, Citrone Plaza and Turner Theatre. 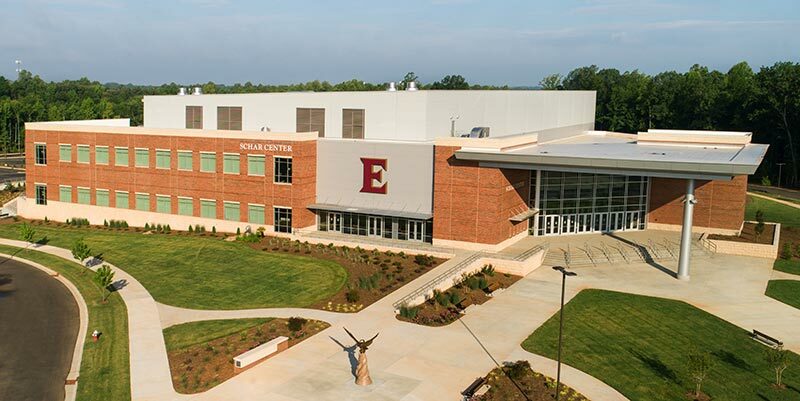 Considered a game-changer for the university, Elon’s 5,200-seat convocation center hosts university events and is the new home of the Phoenix volleyball and basketball programs. Schar Center will also host major regional events. Sankey Hall serves students in all academic majors and houses the Doherty Center for Innovation, Creativity, and Entrepreneurship, the Chandler Family Professional Sales Center, and new centers focused on design thinking and financial education. 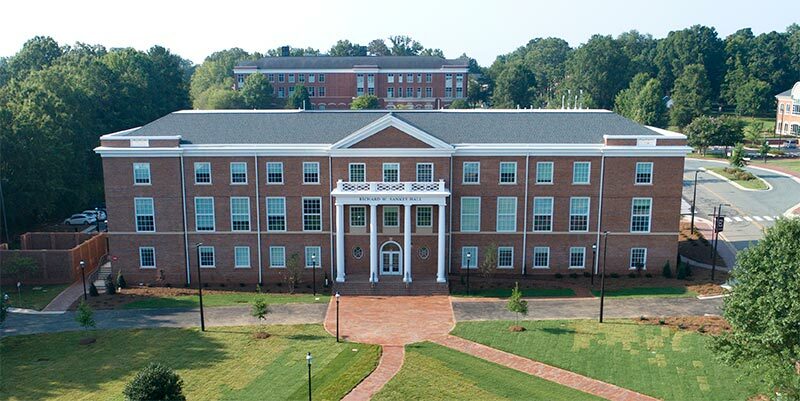 This two-story building brings the university’s Academic Advising, Learning Assistance and Disabilities Resources offices under one roof to serve all Elon students. 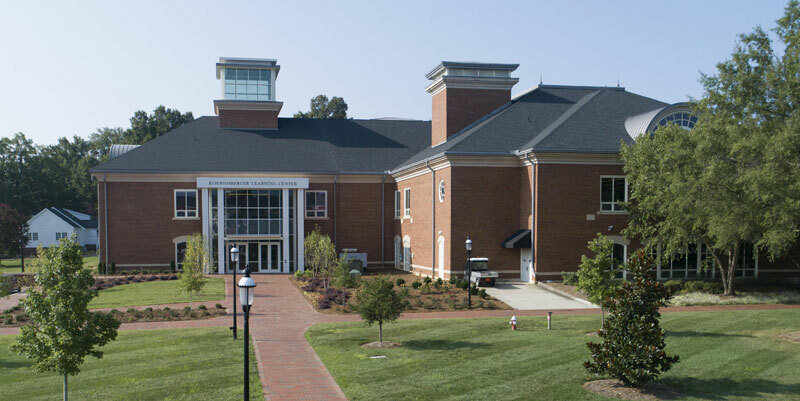 As an addition to the Carol Grotnes Belk Library, the center provides a dynamic learning commons with advanced assistive technology, programming and space to support student success. 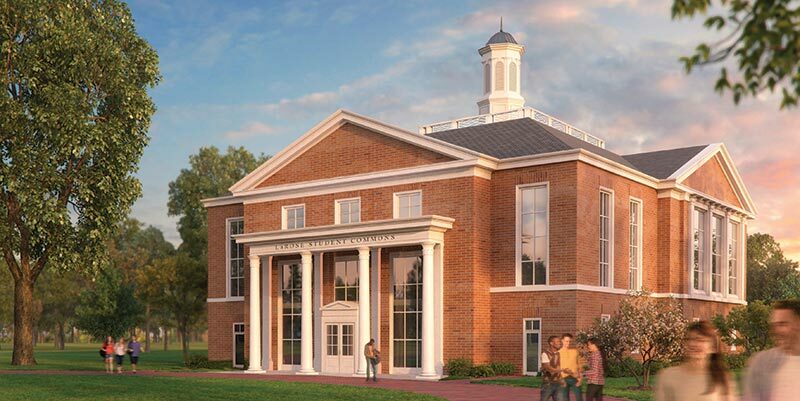 This two-story building in Elon’s Historic Neighborhood integrates living and learning by providing students with a welcoming place to socialize, study, enjoy engaging speakers and host small dinners and other residence hall programs. 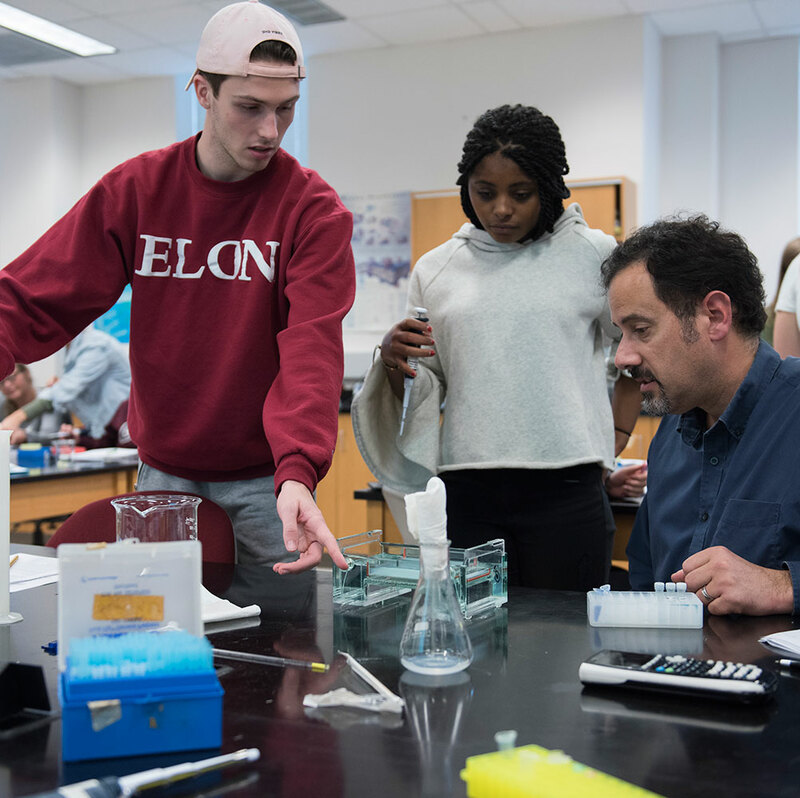 Elon’s learning environment is more than just buildings. It’s about the lasting connections that form in classrooms, labs, residence halls, club sports fields, student organization offices and meeting spaces. Every donor and every gift counts toward the $250 million goal for Elon LEADS. Please consider how you will make an impact in the lives of students and in the future of the university. Elon LEADS through you.